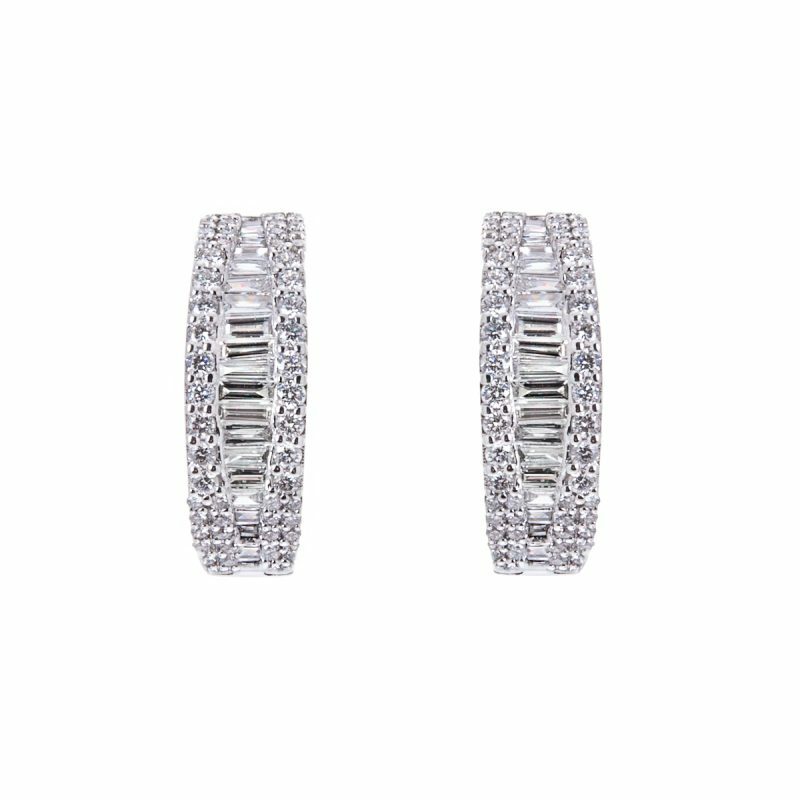 A row of baguette cut diamonds are centrally set curved around this pair of white gold hoop earrings. 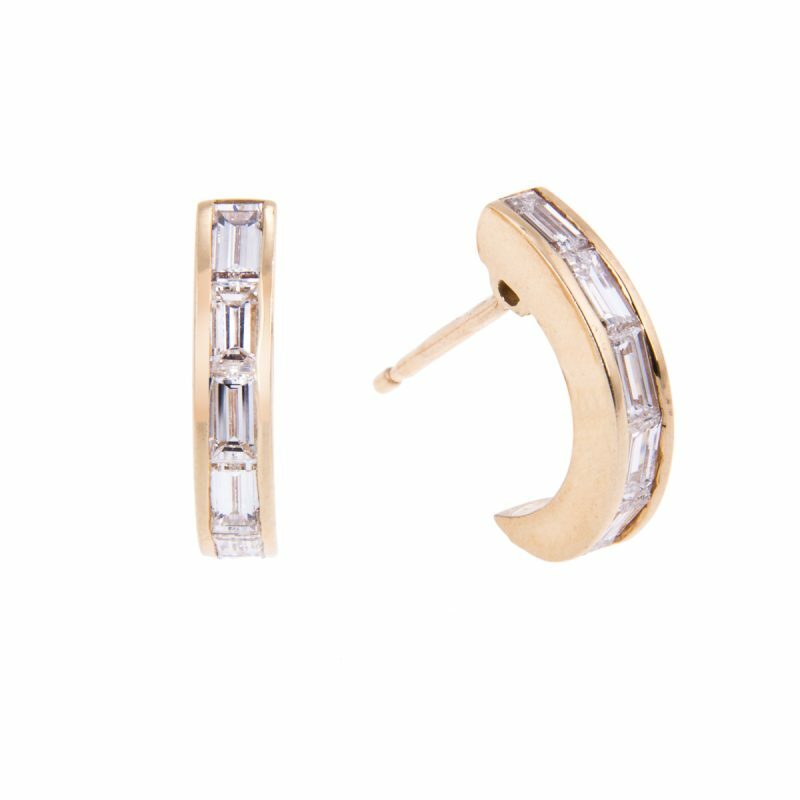 They are framed on either side by single rows of classic but beautiful white brilliant cut diamonds in a claw setting. These earrings exude the fire and brilliance that radiate from inside the light filled diamonds.